We talk a lot about enterprise agility. 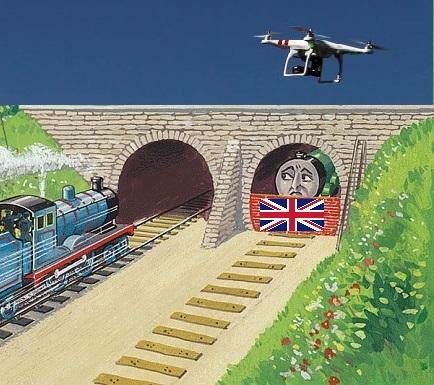 Now let’s see if digital connectivity and creativity can hover like a drone above and across a politically detonated economic upheaval like Brexit. In 2014, Gartner predicted that by 2016, 70 per cent of successful digital business models will rely on deliberately unstable processes designed to shift as the situation changes and people’s needs shift. Now in mid-2016, an expected referendum result in the UK will be our first big test of the elasticity and resilience of digital business models in the face of significant, politically levered, economic change. The impact of a Brexit is different today because of the vehicles of digitisation. Global trade barriers are diminished, global payments systems streamlined and identity systems strengthened. Cloud storage makes it easier to uncouple regional data in response to regulatory change. Bitcoin offers an alternative to traditional nation-based currencies. Social media communities are unconstrained by artificial, geo-political borders. So uncoupling Britain from the EU train should play out differently to the global economic events in living memory that rattled the world’s civic and commercial systems. When the global financial crisis rattled the global economy nearly a decade ago, we were starting to flex the muscles of a digital economy with mysterious digitised financial products. When 9/11 stopped us in our tracks, we were making early explorations into internet enabled e-commerce. If we look back to 2001, Amazon was only just starting to get its ‘mojo’ on as an online bookshop, Apple was just giving us a taste of streaming music through the iPod experience (yes, iPod not iPad), and we still used travellers cheques to navigate international currencies across borders. The growth of a digital economy had come to a screaming halt, for just a moment, stopped in its tracks by the dotcom bubble that had spectacularly burst. Today, I would like to be a fly on the wall of Alibaba, Amazon, Tencent or Google, as they adjust their global commercial scenarios to accommodate Brexit. Perhaps the scenario is ‘business-as-usual’. Their digital business models should have enough built-in capacity and fluidity to float above, flow around, or exploit and profit from, shifts like Brexit. The difference in a digitised world is that the global trading ecosystem is less adversely affected by political decisions and the flow on of slow moving analogue regulatory and process changes than it would have been five or ten years ago. I’d also like to be privy to the strategic conversations happening this week in the think tanks of government in China and India as the world’s gaze turns to Europe, as it buckles down for an uncomfortable few years. Smart digital governments within the EU and across its trading partners and visitors will have readied themselves to absorb change with less cost and disruption. Just like integrating commercial mergers and acquisitions, or public sector ‘MOGs’ (machinery of government changes, aka restructured government departments), digitised government processes, from citizen identity management to tariff collection, should theoretically weather a ‘Brexit’ relatively smoothly compared to a decade ago. This is the test. Read more ​Mirror, mirror on the wall, who’s the most agile of them all? In the global digital economy, do we really care so much anymore about physical borders and local regulations? Millennials live in a global connected social environment. They shop online across a global digital market for everything from sneakers to sounds. They take for granted the right to travel freely from Hertfordshire to Haiti. Millennials may be less concerned with artificial political and economic barriers (imposed by the grey majority) than in the power and flexibility of global digital ecosystems. The digital ecosystem acts like a virtual economic mesh that encompasses, stretches and protects. Sound like some strange form of body armour or support underwear? An exostructure for our fragile analogue existence? Perhaps. Maybe the world is a little more future-proofed in 2016 by the virtual mesh that we, technologists, have enabled. Jenny Beresford is a research director with Gartner's CIO Advisory team. Previously, she served as a CIO, VP and GM in consulting and technology firms, an agile coach and a digital program manager, through to hands-on roles in strategic planning, change management, innovation, enterprise architecture and portfolio management.